UFO SIGHTINGS DAILY: Two Motherships Meeting Between Earth And Sun In @SOHO @NASA Photo, April 2016, Video, UFO Sighting News. 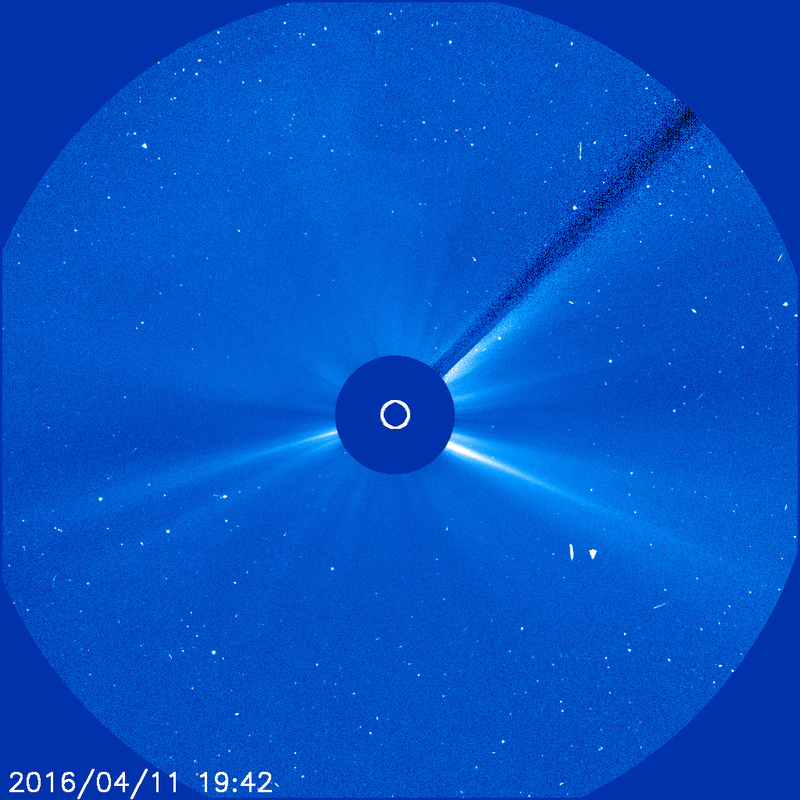 Two Motherships Meeting Between Earth And Sun In @SOHO @NASA Photo, April 2016, Video, UFO Sighting News. These two ships were brilliantly lit up so I added some contrast to bring out some of its detail. Its surface is cube like, but its design denotes intelligence. The 90 degree angles could not be made in nature. Also these UFO leave no trail like a comet or astroid would do. One day, humanity will be aware of these species and these ships, miles long will be docked over Earths major cities. Two structures in Space at point L1, one million miles away. 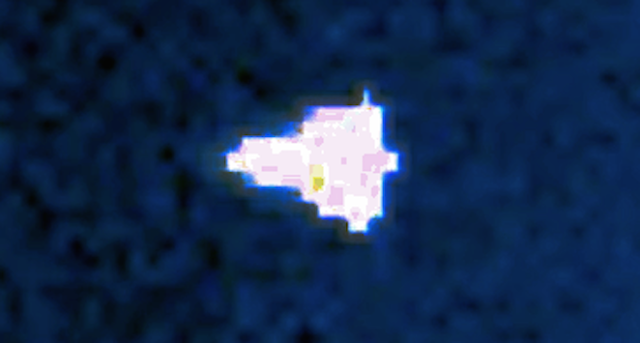 Also a white object probably moving filmed over a 19.3 seconds open shutter, appears as a long object. Maybe one of ours meets one of theirs? Streetcap1.